The u-blox ZED-F9P is said to be the first mass market multi-band receiver to concurrently use GNSS signals from all four GNSS constellations (GPS, GLONASS, Galileo, and BeiDou). Combining GNSS signals from multiple frequency bands (L1/L2/L5) and RTK technology lets the receiver achieve centimeter-level accuracy in seconds.And receiving more satellite signals at any given time maximizes the availability of centimeter-level accuracy even in challenging environments such as in cities. With its high update rate, the ZED‑F9P is designed to be ideal for highly dynamic applications such as UAVs. Featuring on-chip integration of advanced multi-band RTK algorithms, it requires no additional hardware or third party RTK libraries. Ready to use on delivery and easy to integrate, it helps product developers quickly bring their ideas to the market. ZED-F9P is fully geared to clearing the three main hurdles that have kept centimeter-level positioning accuracy from breaking into mass market applications: cost, size, and power consumption. Significantly smaller and more energy efficient than existing solutions, and as a cost efficient alternative, the ZED-F9P will enable new high precision positioning applications for the mass market, according to u-blox. In a recent press release, u-blox and Qianxun Spatial Intelligence Inc. announced that they are joining forces to deliver high precision positioning solutions to the Chinese market. By coordinating their product offerings, they seek to meet growing demand for increased positioning accuracy for mass market applications. Some of the areas driving up demand for high precision positioning services in China are IoT tracking devices such as those used on shared bikes, as well as automotive, UAV, and robotic vehicle applications. 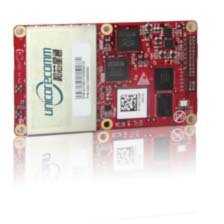 u‑blox is bringing to the partnership its market‑leading high precision GNSS receivers. Its recently announced u‑blox F9 multi‑band positioning platform uses integrated RTK technology to process the high precision positioning correction data provided by Qianxun SI, delivering down to centimeter‑level positioning accuracy for wide‑ranging applications. It enables even faster and more robust performance by leveraging a greater variety of GNSS signals. Two major advancements have enabled sub‑meter‑level positioning accuracy for mass market applications. The first is modern GNSS correction services that constantly monitor GNSS signals to determine positioning errors caused, for example, by atmospheric distortions, and wirelessly transmit correction data to compensate for these errors to millions of GNSS devices. The second is a new generation of small, power‑efficient, and affordable GNSS receivers that are able to use the correction data to achieve such high levels of accuracy.